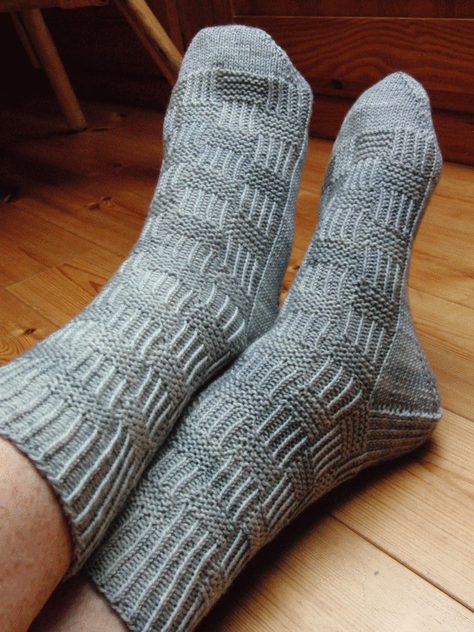 Pooh Sticks Socks - monemades Webseite! I finished the first socks for our sock challenge the other day and like always I had no idea how to name them. That really is the hardest part, if you ask me, to come up with a nice name. 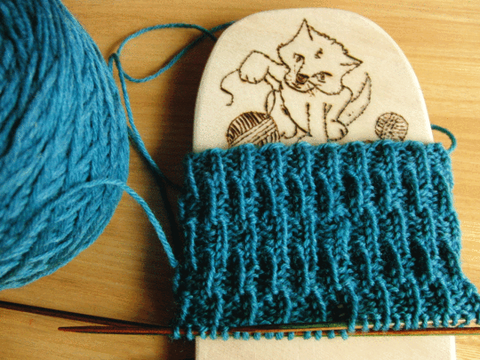 So we had a small contest and asked my Ravelry friends to come up with suggestions - and the winning name is Pooh Sticks. I love it! I love Pooh Bear and his stories and indeed, the pattern looks like the game 'Pooh Sticks', which you can play on any bridge over running water: each player drops a stick on the upstream side of a bridge and the one whose stick first appears on the downstream side is the winner. Thanks for this great suggestion, Debbie!